Edith Corbett Stone climbed Mt. Rainier in 1891. Her brother, Laurence, scaled the peak the following year. 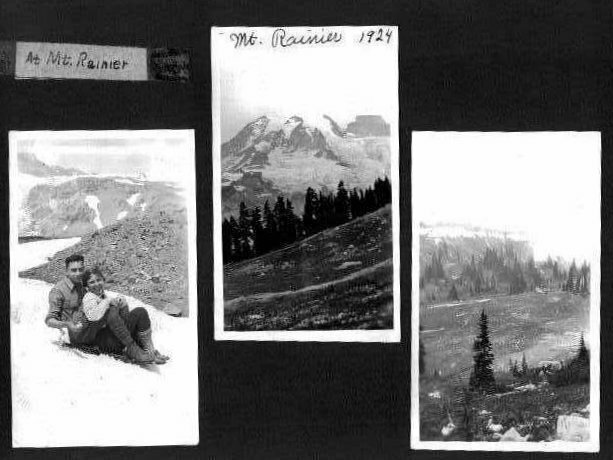 The 1890’s were a period of increased fascination with mountain climbing among the residents of the northwest. 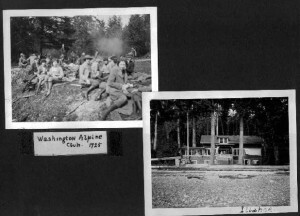 The Washington Alpine Club was organized during this era and its members were ceaseless advocates of mountain climbing. In the 192os, Edwin Stone, Edith Corbett Stone’s eldest son, was associated with this climbing organization. 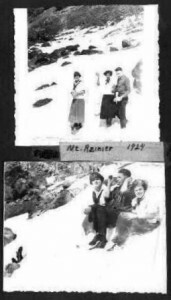 The following pictures are from a photo album Edwin maintained and were shared with the “Yelm History Project” by his daughter, Janet Stone McGowen Randall. The pictures capture the spirit and scenery that attracted the Corbetts and Stones to the mountain. Florence May Corbett went to the University of Idaho in the 1890’s. She became the first woman to graduate from that institution when she received her diploma in 1896. Three years later she married D. Wilson Johnson with whom she raised two children, Margaret and Joseph Johnson. She died on October 18, 1953. Laurence “Laurie” Jay Corbett was the youngest Corbett child. Like his older sister Florence, Laurence attended the University of Idaho. Graduating in 1896 with a degree in electrical engineering, he headed to the University of California at Berkeley to complete some post graduate work. 1903 found him in Schenectady, New York at Union College. Laurence worked for General Electric for a year before returning to the Bay area to work. Laurence moved to Spokane, Washington in 1904. 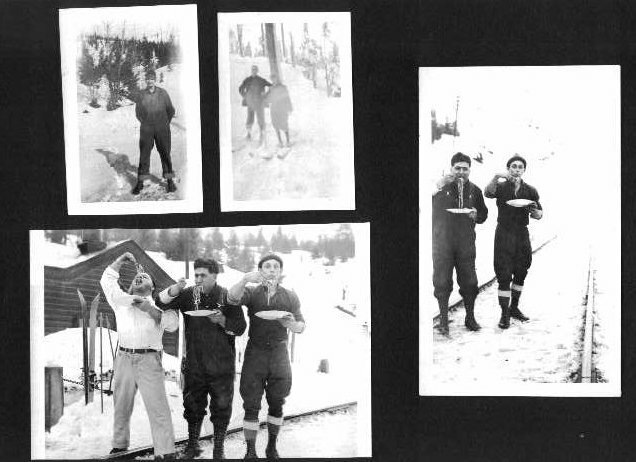 His sister Edith and her family were also living in the Spokane area at that time. 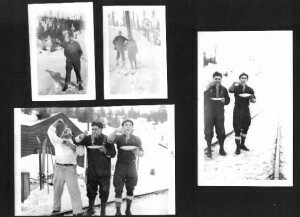 His engineering degree opened the door to employment with the Spokane and Inland Empire (Electric) Railway and later with the Washington Water and Power Company. In 1906 he married Laura Gertrude Arthur in San Francisco. Returning to Spokane following the wedding, they had the first of their three children in January 1907. From 1906-1911 Laurence supported his family by working as a consultant. Laurence returned to Moscow, Idaho in 1911 to serve as head of the Department of Electrical Engineering and he held that job though the end of World War I. In 1920 Laurence packed up the family and headed for Berkeley. Over the next three decades Laurence moved between the public and private sectors. His overlapping careers involved teaching at the university, working for Pacific Gas and Electric, and serving as a Captain in the U.S. Corps of Engineers. Laurence died on May 3, 1951.